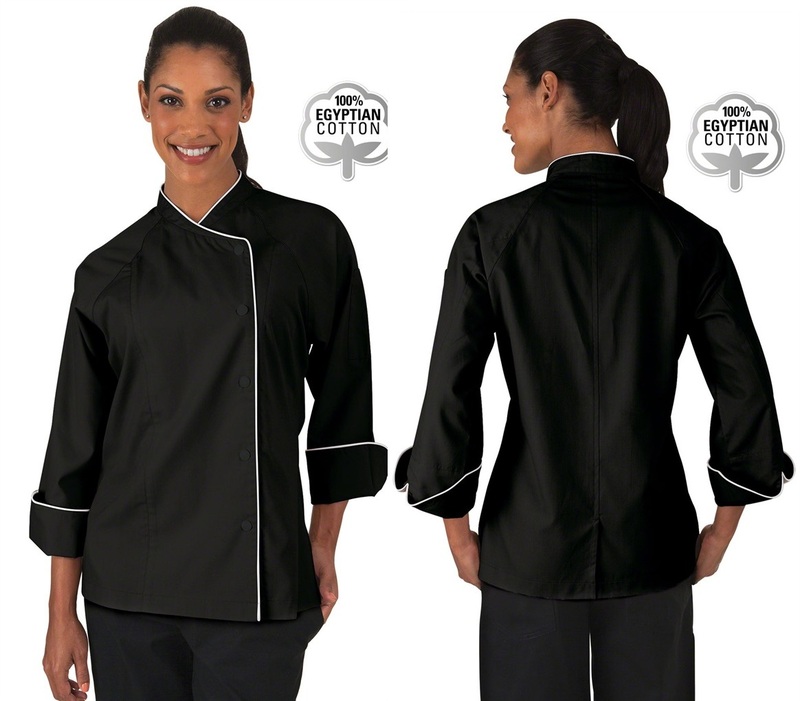 Enjoy the blend of comfort and style this women's tailored fit chef coat has to offer! 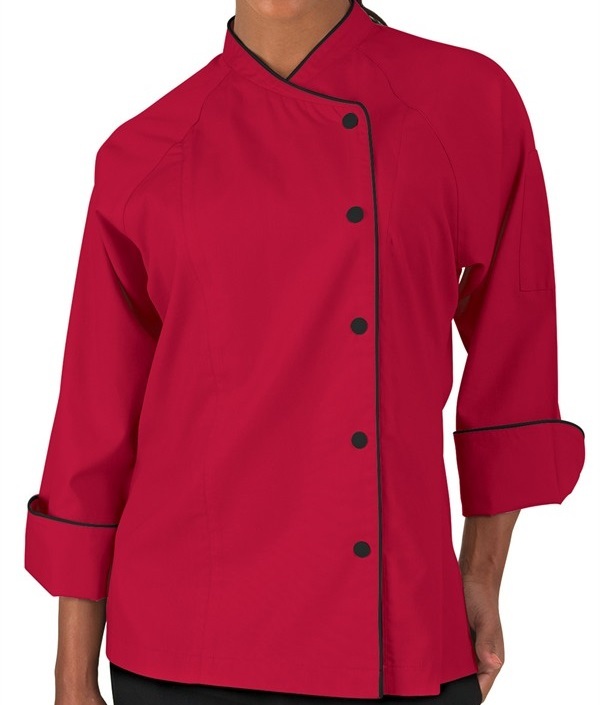 It has a crossover collar, a snap front closure, a two piece executive back and a thermometer pocket on the left sleeve. We've also added a back vent, underarm vents and extra room in arms. The 3/4 length raglan sleeves offer the perfect combination of safety and comfort. 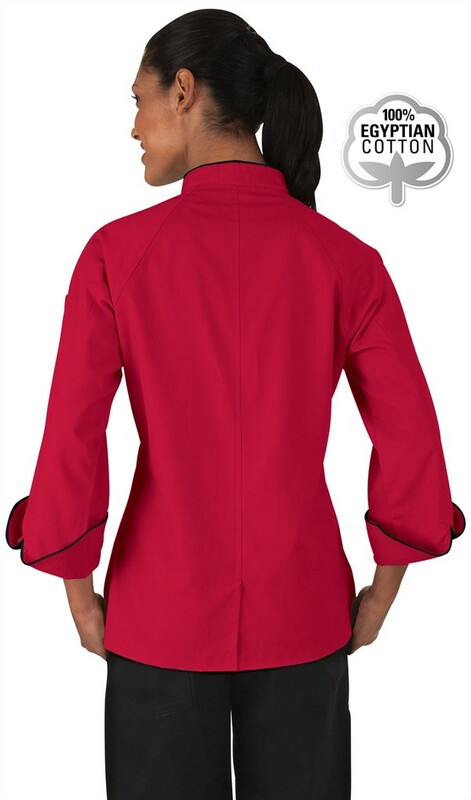 The collar, chest and cuffs of this ladies chef jacket are accented with a contrast trim. Left to Right: Stone Grey w/Black and White w/Black. The luxurious premium fabric is 100% Egyptian Cotton. 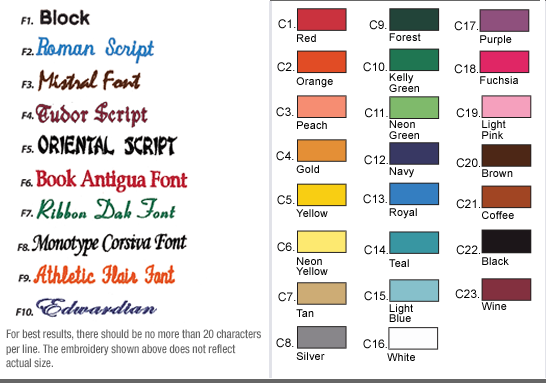 The approximate length for size Medium is 26 1/2".